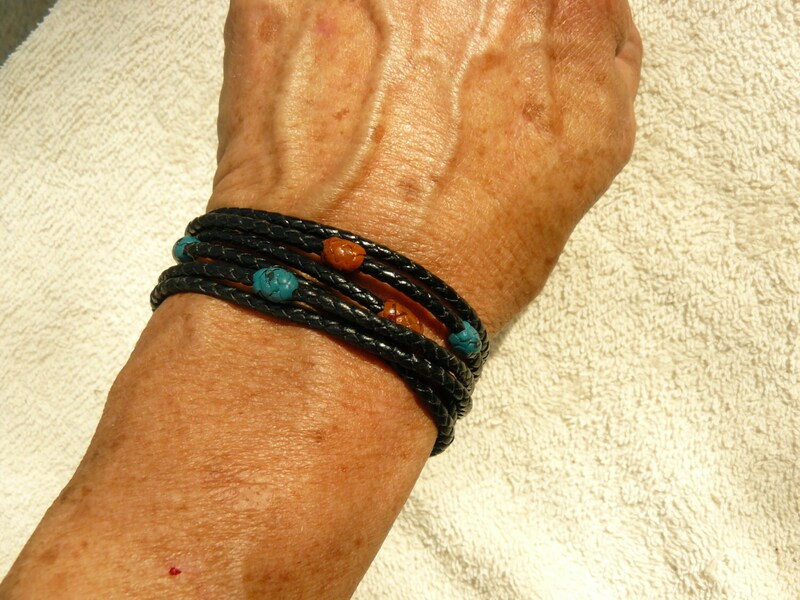 Braided kangaroo leather wrap bracelet. 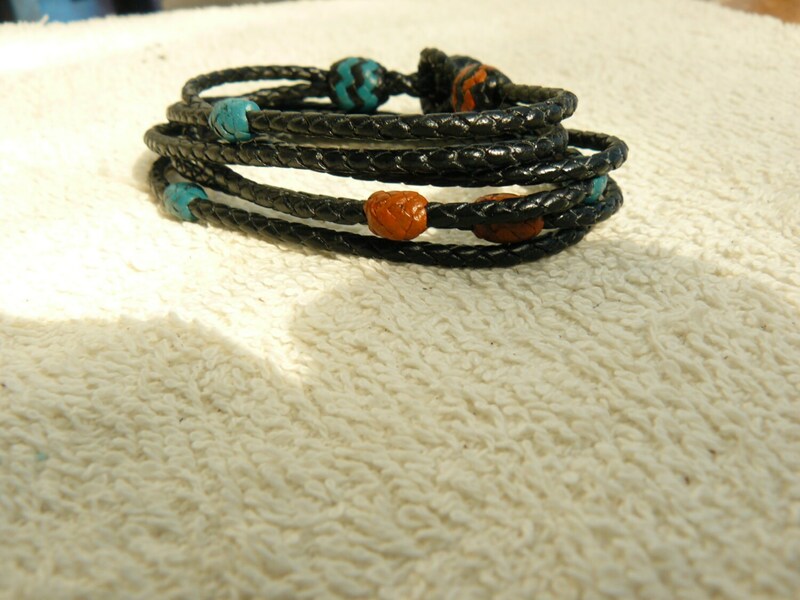 This 3x leather wrap bracelet is all cowgirl, but delicate enough to dress up with too :-) Braided with black kangaroo leather, 4 plait, 1/16"lace. Makes for a fine 2mm strand. 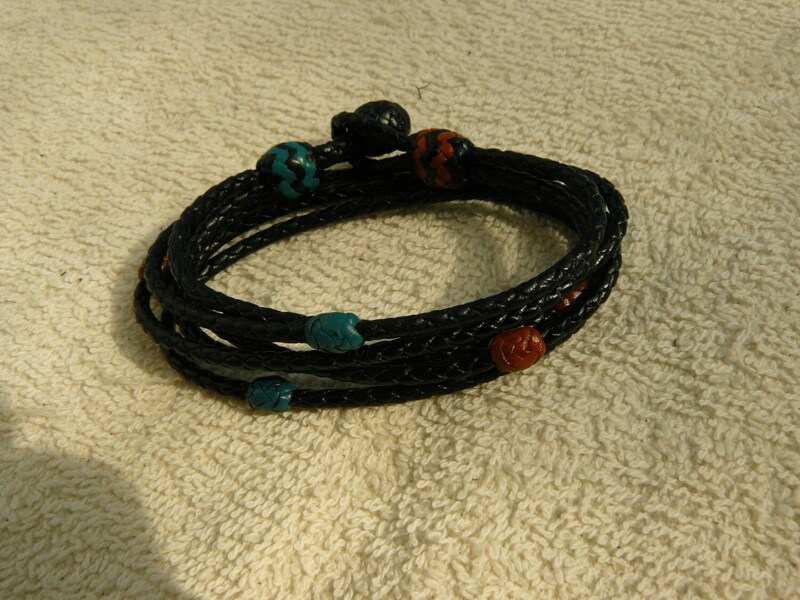 It's 21" long total, and wraps 3 times around your wrist for a 7" bracelet. 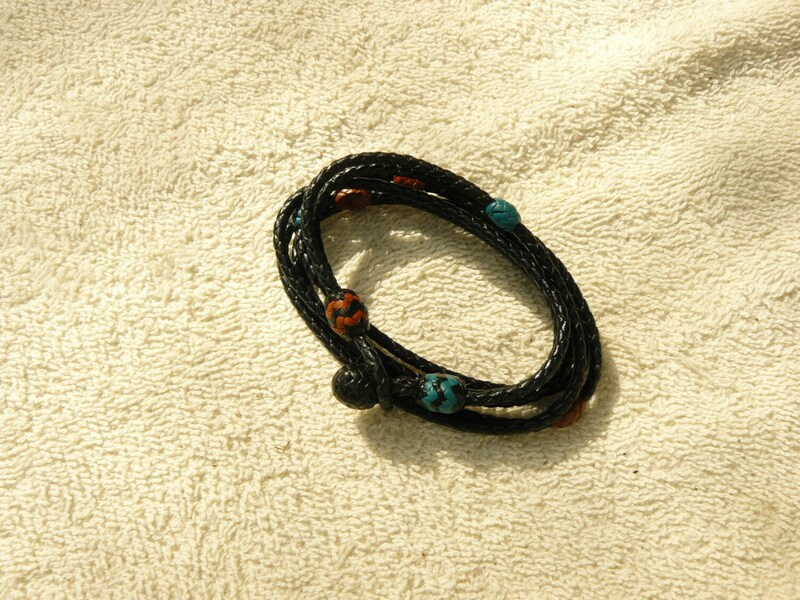 Teeeeny pineapple knots in saddle tan and teal are spaced randomly along the strands. 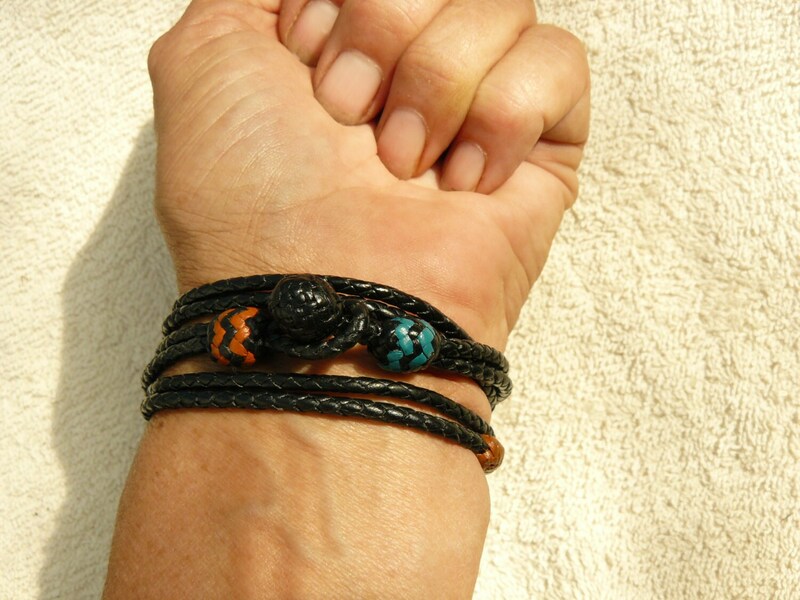 The closure is a loop and button, the button being a black pineapple knot. Loop is held in place with a black/saddle tan button, and there is another black teal button below the black button - just 'cause I like the colors together. A lot!!! If you would like a different size or color combination just let me know, I'm happy to create a custom piece for you! If you are not happy with your purchase, we offer a money back guarantee. Simply return your item to us within 7 days of receiving it, and we will refund your purchase price - not including shipping costs. Always happy to accept custom orders!! Typically a custom piece will take about 7 days to complete, pictures sent to you before it ships.